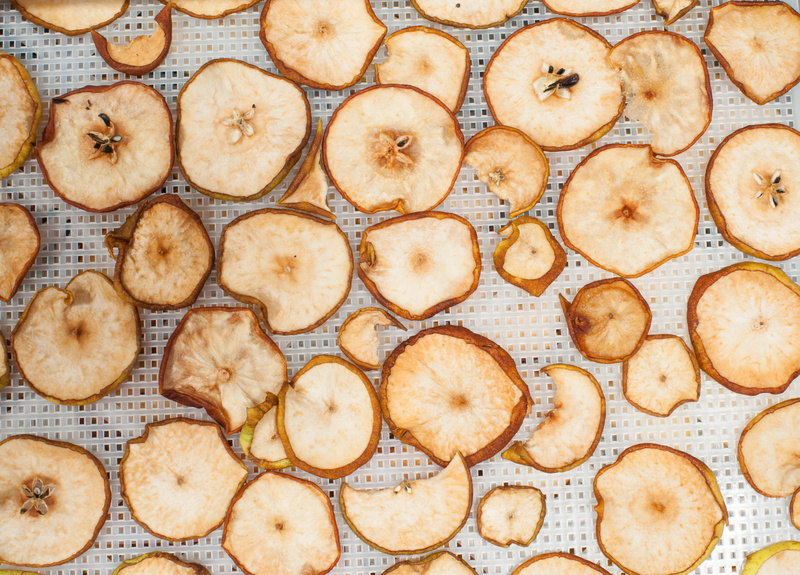 Homemade dried apple chips you can make with your Excalibur food dehydrator. In the Excalibur 3926tb vs 3900b comparison, you have two very similar food dehydrators from the American made Excalibur brand. Excalibur is known for making high quality food dehydrators. The brand stands behind their products by offering long warranties. Although there is very little that separates these two machines, the differences could make an impact on your purchase decision. Below, I’ve outlined the differences and similarities between these two machines to help you make the best decision. If you’re in a hurry you can use the table of contents below to skip ahead to the comparison chart or summary. Excalibur 3926tb vs 3900b﻿: ﻿Which One Should You Choose﻿…? Excalibur 3926tb vs 3900b: Which One Should You Choose…? The Excalibur 3926tb has two dials; a timer and a dial for the temp. The dimensions for both machines are 19 x 17 x 12.5 inches and 22 pounds. 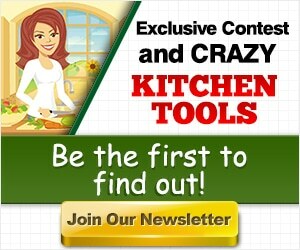 The capacity is 15 square feet which is perfect to prepare a lot of dried foods at once. Both are available in white or black. Either machine will leave a significant footprint on your countertop. Depending on your living arrangements and use, you may need to set up your dehydrator in a location other than your kitchen. For example, my kitchen is rather small, so I’d be better off setting up my dehydrator in the basement or garage perhaps. Also, they aren’t particularly good-looking appliances. So you might not want to have yours displayed in the kitchen anyhow. As with anything else in life you get what you pay for. Food dehydrators are no different. With other dehydrators, the heating element provides a consistent unchanging heat source. This process can cause “case hardening”. The food will be dry on the outside and moist on the inside. This is the perfect environment for bacteria and other pathogen growth. Not good. Excalibur Food dehydrators work much differently. With the hyperwave fluctuation technology, the temperature moves up and down. When the temp moves down the inner moisture moves to the surface. When the temp moves up the surface moisture evaporates. This is part of what makes Excalibur dehydrators special. Both machines have nine trays which equals 15 square feet. Which means that you can prepare a lot of quality dried foods at once. But is that too much space for you? Personally, I’d rather have too many trays than too few. Also, consider this, Excalibur models with fewer trays will still take up the same amount of horizontal space. So you don’t actually save any counter space by getting a unit with fewer trays. Trays can be removed to account for the height of any food item and the tray inserts are easily cleaned. The Excalibur 3900b has just one dial to control the temperature. Both machines have back mounted fans and distribute heat evenly across all 9 trays which means you don’t have to worry about rotating trays. The temp range is from 105 degrees to 165 degrees Fahrenheit.This range means that you can safely dehydrate meats or fruits. Through improvement over generations, Excalibur has mastered temp control in their food dehydrators. The Excalibur “Preserve It Naturally” book is included with the Excalibur 3900b but not the Excalibur 3926tb. This book shows you exactly how to make fruit roll-ups, dry herbal teas, and even make yogurt and crafts. I’m sure that you could find recipes and how-to’s on youtube. The 26-hour timer is a feature only available on the Excalibur 3926tb. It shuts off automatically when your dried foods are ready. It’s a very convenient feature, but it might not be necessary for you. You can buy a shut-off timer from a hardware store for a few bucks. You know, those timers people use for their Christmas lights. If you do go this route, make sure the one you pick up can handle the load of your food dehydrator. The difference in price (if there is one at the time that you buy) will most likely be the result of the timer feature. Of course, you never know what the price might be when you are ready to purchase. You can see the price of the Excalibur 3926tb here or click here to see price for the Excalibur 3900. You can see that the Excalibur 3926tb has two dials. Capacity: 15 sq. ft. 15 sq. ft. There are many satisfied customers for both food dehydrators in the Excalibur 3926tb vs 3900b (or 3900 vs 3926t) comparison. 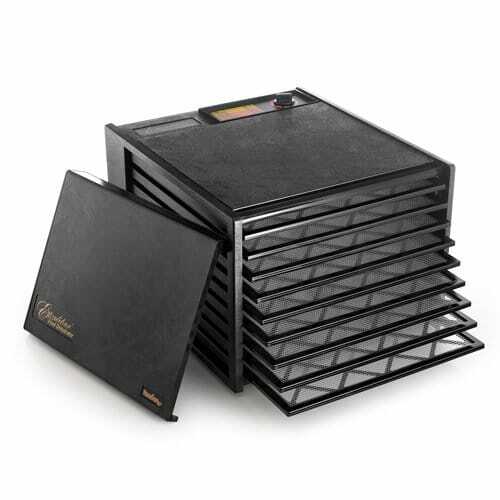 Customers have stated that although the dehydrators are big, they can fit under the cabinet. They are also blown away by the quality. Some customers have had an Excalibur dehydrator for decades. On the flip side, there are some customers that have stated that these dehydrators are loud, but others say the opposite. There isn’t a “best” in the Excalibur 3926tb vs 3900b (3926t vs 3900) product comparison. Both are great choices. So, it comes down to this: Do you need a timer? This decision could be influenced by how often you plan on using the device. Do you plan on using it 4 or 5 times a week? Will you want to have it in use while you’re away from your home? If so, you may want the Excalibur 3926b for the timer. But the Excalibur 3900 comes with the “Preserve It Naturally” book; the Excalibur 3926tb does not come with it. If I were in the market to replace my used basic Nesco food dehydrator, I’d probably go with the Excalibur 3900. Keep in mind, traditionally products that have additional features also cost more. Please note, I’ve done a lot of research and I haven’t come across another food dehydrator brand that is as respected as Excalibur. Does the wattage affect the efficiency? I see the 3900 is 600 watts compared to the 3900b which only has 440. Thanks! Thanks for stopping by! I looked up the wattage for the 3900b and every resource that I’ve come across (including current owners) state that the wattage is 600. Also, the letters following the numbers on these models denote the color. To your question, in my experience, higher wattage translates to better efficiency. For example, I have a main 1500-watt microwave in my kitchen and a smaller 1000-watt microwave in the basement. The 1500-watt model always heats foods up quicker.